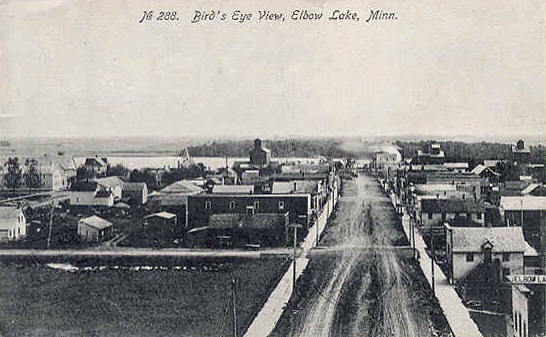 Do you have photos, historical accounts or other items pertaining to the Elbow Lake area? Would you like to share this historical information with the world? LakesnWoods.com would like to publish your Elbow Lake photos (current or historical) or historical accounts on this website. Original materials can be returned and your privacy will be respected. 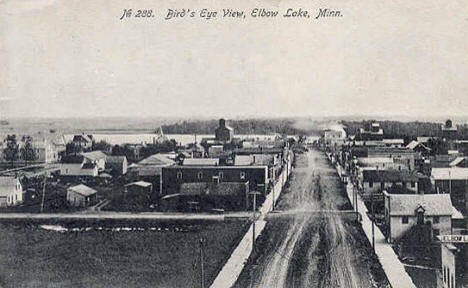 Elbow Lake is the hub of Grant County, which is in the heart of Minnesota's best agricultural and resort areas. Elbow Lake offers small town living at its best, while located conveniently in close proximity to several metropolitan areas. 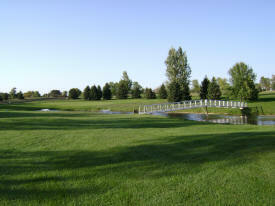 The surrounding area is excellent for fishing and hunting. 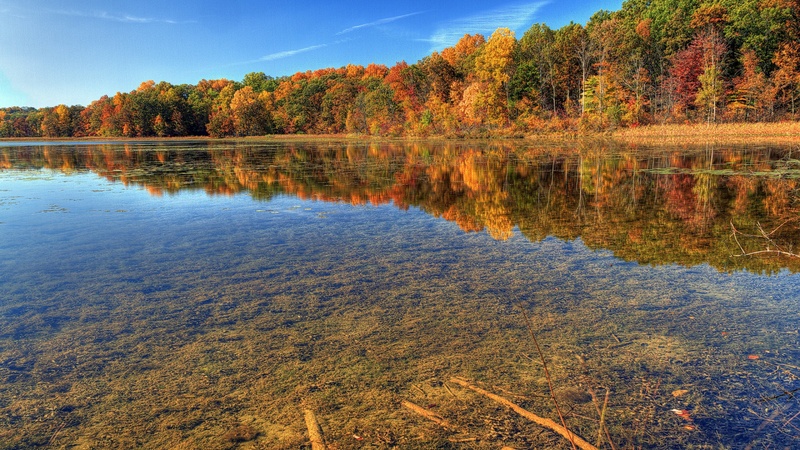 Pomme de Terre Lake, located three miles east of Elbow Lake, is home to northern and walleye as well as a full assortment of pan fish. 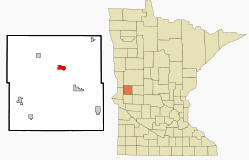 Elbow Lake is a city in and the county seat of Grant County, Minnesota. 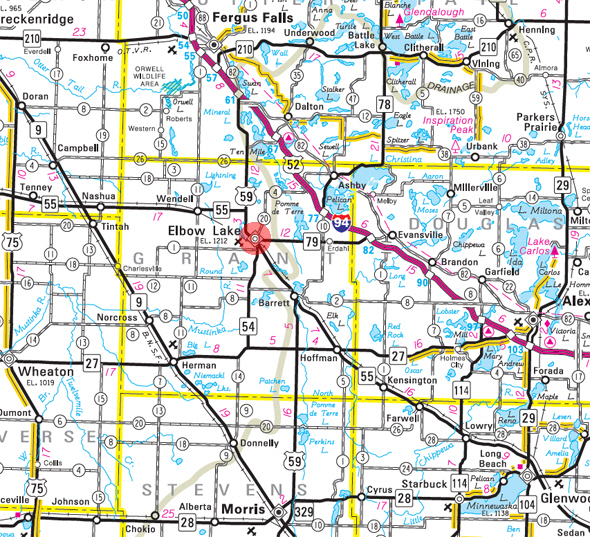 U.S. Route 59 and Minnesota State Highways 54, 55, and 79 are four of the main routes in the city. According to the United States Census Bureau, the city has a total area of 1.34 square miles (3.47 km2), all of it land. The elevation is 1,220 feet (372 m). As of the census of 2010, there were 1,176 people, 538 households, and 313 families residing in the city. The population density was 877.6 inhabitants per square mile (338.8/km2). There were 623 housing units at an average density of 464.9 per square mile (179.5/km2). The racial makeup of the city was 97.4% White, 0.2% African American, 0.3% Native American, 0.2% Asian, 0.3% from other races, and 1.7% from two or more races. Hispanic or Latino of any race were 1.2% of the population. There were 538 households of which 27.7% had children under the age of 18 living with them, 44.8% were married couples living together, 9.9% had a female householder with no husband present, 3.5% had a male householder with no wife present, and 41.8% were non-families. 37.9% of all households were made up of individuals and 19% had someone living alone who was 65 years of age or older. The average household size was 2.16 and the average family size was 2.86. The median age in the city was 40.9 years. 24.1% of residents were under the age of 18; 5.8% were between the ages of 18 and 24; 24.3% were from 25 to 44; 26.9% were from 45 to 64; and 18.9% were 65 years of age or older. The gender makeup of the city was 45.1% male and 54.9% female. The Elbow Lake City Council meets the first Monday of every month at 7:30 pm in the Community Building's Council Chambers. Make your next round of golf a memorable one. Come out enjoy this hidden gem in West Central Minnesota, beautiful Tipsinah Mounds Golf Course in Elbow Lake Minnesota, overlooking Pomme de Terre Lake. 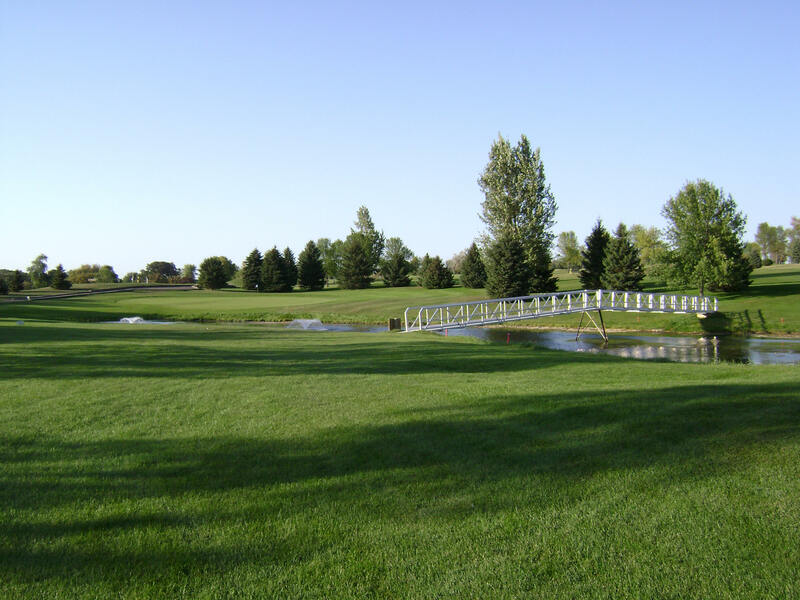 Tipsinah is centrally located between Fergus Falls and Alexandria Minnesota, just a 5 minute drive off I-94, featuring large bent grass greens along with wide, well manicured fairways. We are an 18 hole course with enough yardage options to make it an enjoyable experience for the beginner as well as a challenge for the serious golfer. Prairie Ridge Hospital and Health Services is a private, non-profit health care organization providing clinical and hospital services in several small rural communities. We bring specialty and sub-specialty physicians to the patients. Weekly newspaper published on Wednesdays with a circulation of 1,951. 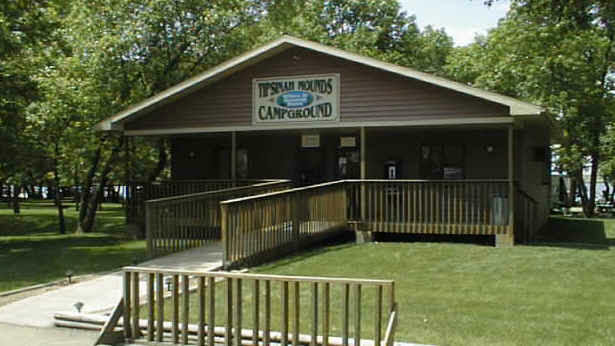 Sheltered by towering oaks and bordered by a softly lapping lake, Tipsinah Mounds Park & Campground is located in the west-central region of Minnesota. A public boat launch, sandy swimming beach, well-built picnic shelters, full camping facilities that include electric, water, sewer, and tenting are available. AgCountry Farm Credit Services provides credit and financial services to farmers and ranchers in eastern North Dakota and northwest and west central Minnesota, and to agribusinesses across the country. 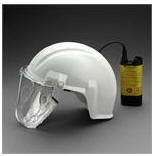 Airware America has sold safety products for over 30 years through phone sales, trade shows and their on-line store. Originally distributors of the Racal Health & Safety products, Airware America acquired additional product lines over the years, and eventually Racal Health & Safety was sold to 3M, and we acquired the full line of 3M Health & Safety Products. Airware America is a small family owned business located in Elbow Lake, MN. AmeriFab Industries is a manufacturers support facility located in Elbow Lake Minnesota along Interstate 94 between Minneapolis Minnesota and Fargo North Dakota. We provide manufacturers with help from design to manufacturing and assembly. Please feel free to browse our site, read our history and get to know us. Bank of the West has customers in all 50 states and operates more than 700 branch banking and commercial office locations in 19 Western and Midwestern states. Prudent credit underwriting, a diversified loan portfolio, and careful risk management have allowed us to grow to more than $62 billion in assets. It is one of the nation’s largest banks, yet it preserves its local feel and its award-winning style of relationship banking that ensures superior customer service. Bevins Sign & Design in Elbow Lake, Minnesota, has created high-quality hand-painted and vinyl signs, banners, magnetic vehicle signs, vinyl lettering and much more since 1982. 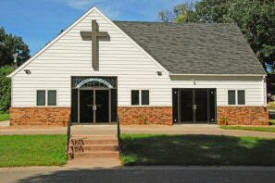 Check out our sign links to get more information, photos, and order forms on these services. We have done numerous banners and magnetic signs for Head Start agencies all over the United States. If you have anything to do with a Head Start agency, please check-out this link. (Head Start is a registered trademark. Cosmos offers parts with turning work on both ends, plus side and end drilling / tapping all on one machine which reduces time on part handling. Our assembly department can take your parts from start to finish and assemble many different products. Cosmos Enterprises also offers packaging services for finished products along with required fasteners and instructions to ship with your packaging. Contact us to inquire about our multiple secondary service options that include, but are not limited to, deep-hole drilling, tapping, welding, bending, and several metal finishing options as well as heat treating. 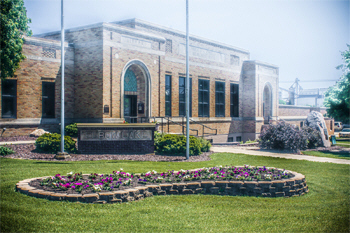 Eagle Bank is a true community bank with continuous local ownership for over 100 years in Glenwood, Minnesota. In 1980, we opened a banking office in Villard, MN., which had been without a bank since 1925. In 1995, we acquired a bank in Elbow Lake, MN. 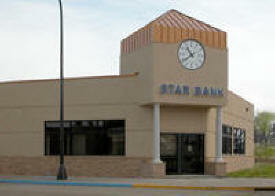 and the bank in Wendell, Minn. which are located in adjacent Grant County. Local owners/operators are deeply involved in the social and economic growth of their communities. We are known for our quick response and strong interest in community projects and interests. At Elbow Lake Co-op Grain, we offer a wide variety of services for area farmers. 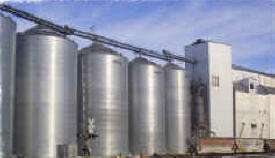 We handle Three Main Commodities, Soybeans, Corn, Wheat. With locations in Wendell and Elbow Lake and the largest storage space in the area, our location on the CP Rail Road line, and 100 car Shuttle Train loading, ensures we will give good prices and we have enough space to serve you when harvest time comes. When you visit Elbow Lake Dental, your smile is our top priority. Dr. Leis and his entire team are dedicated to providing you with the personalized, gentle care that you deserve. Part of our commitment to serving our patients includes providing information that helps them to make more informed decisions about their oral health needs. This website is a resource we hope you’ll find both useful and interesting. Contact us today! Elbow Lake Plumbing & Heating is proud to serve the West Central Area of Minnesota with quality products and honest, professional service. Started as a small operation in 1993, ELP&H has grown into an industry fixture in the area. Our focus is still on professional, respectable, and skillful service with the most energy efficient equipment available. We deliver quality products from all the major manufacturers at very competitive prices; customizing any job to meet your budget and needs. We specialize in prompt, courteous, and professional service for any/all your new projects or repairs on older equipment. Hi! 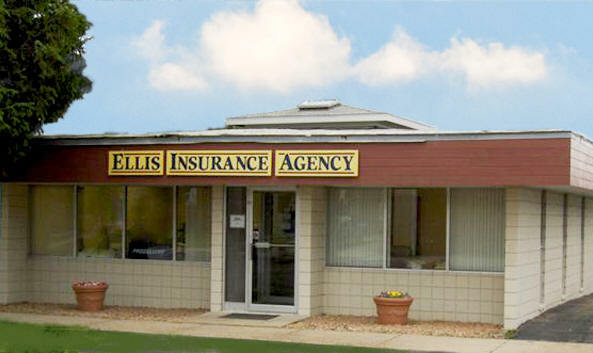 I am Dean Ellis, agent and owner of Ellis Insurance Agency. I grew up on a dairy farm east of Elbow Lake and went to college at North Dakota State University in Fargo. After receiving my degree in Agriculture, I worked at several agribusiness jobs and in 1982 was hired to run the insurance agency at Farmers State Bank in Evansville. In 1997, my wife Vicki and I purchased Sherwood Insurance in Elbow Lake. It is my good fortune to work with wonderful people every day. It is a great thing to have a job where you meet new people all the time and help them with their essential need of insurance. Call or stop by anytime, it is my pleasure to work for you! At Erickson-Smith Funeral Home, we believe it is the right of each family we serve to receive the very best in caring and professional service. Our goal is to assist families in creating a personalized service, allowing family and friends to support each other as they remember, honor, and celebrate a life that has been lived. Farm & Home Sales, Inc.
Farm & Home Sales, Inc. of Elbow Lake, Minnesota, where your trust is our highest priority. Farm & Home Sales is hometown owned and operated and is located on Highway 59 North in Elbow Lake, in West Central Minnesota. We pledge to provide the highest level of customer satisfaction through quality products, teamwork and personal attention - striving to make everyone a lifetime customer! At Farm Bureau Financial Services, you can count on us to protect what’s most important to you and to help you prepare for the future. For more than 70 years, we have provided insurance and investment products and services to help meet your needs through all the stages of your life. We are an independent insurance agency focused on providing farmers in Central Minnesota risk management tools and services. Since 1982 Farmers Agency Inc. has offered exceptional coverage and service to farmers in our community. Gateway Building Systems has gained a hard earned reputation as a Design/Build contractor that holds experience, quality, reliability, and safety above all other considerations. When you select Gateway, you're getting more than a contractor. 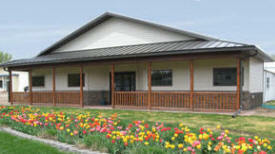 You are getting a full service Design/Build general contractor that will create a building solution to meet your needs. Grant County Lumber offers design and planning of your home project so you can be sure every square foot is used wisely. Quality products and service are a tradition. You can build the project yourself or have us design and manage your entire project. We take the stress out of building. 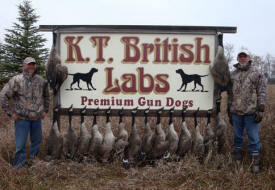 Here at K. T. British Labs, we are committed to producing the best quality pups possible. 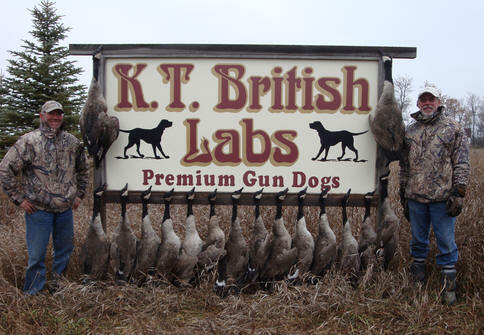 We breed and hunt the British Labrador for many reasons. They are an extremely loyal dog , with natural game-finding ability, intelligence, calm temperament and easy trainability. With their quiet nature they also make a great pet which can be kept in the house with you. Kastner Chiropractic in Elbow Lake, MN offers professional chiropractic care services at reasonable rates. We have been serving our patients for over 51 years. Our skilled chiropractors, Michael J. Kastner, D.C. and Richard S. Kastner, D.C., provide quality services. We guarantee customer satisfaction. Established in 2009, The Knotty Pine came started to offer the most appetizing food and beer in North Elbow Lake, MN and the surrounding areas. Whether you are dining in or taking out, we guarantee you will enjoy our mouthwatering array of delicious foods. Have a drink or get a bite to eat and relax. We've got you covered. Lake Region Veterinary Center and Lake Region Small Animal Center specialize in state-of-the-art veterinary medicine as well as complementary and alternative medicine for horses and small animals. We understand that animals become an integral part of your family, and their injury and illnesses may be difficult, even traumatic, for you the owner. That's why our goal is to keep your animal healthy through preventive veterinary medicine. Midwest Manufacturers’ Association is an organization that exists to foster the creation, growth and success of its members. The membership of MMA consists of industry associations and trade groups throughout the Midwest region sharing in MMA's mission. The Minnesota Rural Water Association was formed in 1978. We are a non-profit association governed by a Board of Directors. We are staffed with full-time personnel trained to offer professional on-site technical assistance and training to water and wastewater system personnel in managerial, financial, and operation and maintenance of systems, as well as source water protection. MRWA is funded through grants, contracts, and memberships to allow us to offer our services at no charge to community water and wastewater systems and rural water districts with populations under 10,000. Isn’t it about time you fixed that crack in your driveway or update your out of date kitchen and bathroom? Let the experts at Prairie Builders help. We offer free estimates on all work and welcome both residential and commercial clients. Our highly trained workers have over 15 years of experience and are licensed, bonded and insured for your protection. 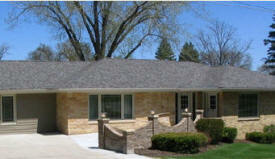 Prairie Builders are experts in all aspects of concrete and remodeling. We also design and build custom log homes. Come to Rupp's Unique Auto Body of Elbow Lake, MN to get the job done. We offer complete auto body services at reasonable rates. We try to make the process easier for you because we understand the inconvenience of getting your vehicle fixed. We are committed to excellence and we guarantee customer satisfaction on all our work. At Star Bank, our employee and bank mission is to faithfully serve and provide financial solutions for our customers and our communities and prove to both that we are “The Bank That Cares” tm. Sturdevant’s Auto Parts, the regional leader in Automotive Parts and Accessories, with over a million parts available… Sturdevant’s HAS IT! Titan Machinery is Your Solutions Dealer. 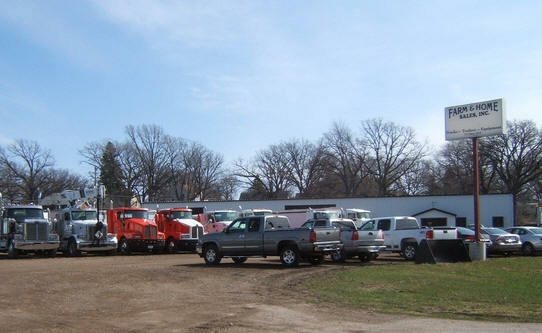 We represent a diversified mix of agricultural, construction, and consumer product dealerships across much of the upper Midwest. 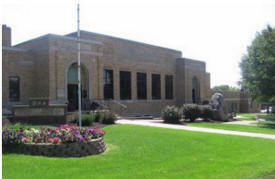 Our Shared Resource headquarters is based in the heart of the Red River Valley in Fargo, ND. Come to Trumm Drug today for your prescriptions, general drug store supplies, convenience food items, plus a wonderful assortment of cards and gifts for every occasion. We carry Hallmark cards, Russell Stover candies, plus great gifts like fine crystal, silk florals, and more. Stop by today to see for yourself. 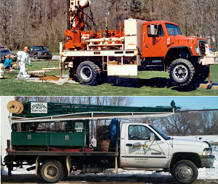 Waskosy Well Drilling provides well drilling and repair services in Elbow Lake, MN.